Earn your SSI Open Water Diver credentials on this 4-day scuba diving course in Udupi. For the first two days, you'll spend the day learning the theory of scuba diving, and practicing your skills in a swimming pool. Guided by a certified dive instructor, you'll get comfortable with the scuba equipment and learn responsible diving, before transferring to the dive spots in the Arabian Sea. 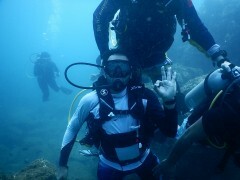 Here, you'll complete four open water dives of 45-mins each to perfect your dive techniques, and explore the sea floor teeming with different species of coral reef fishes. Your dive centre is located just a few minutes away from the Kapu Beach, in the coastal town of Udupi. 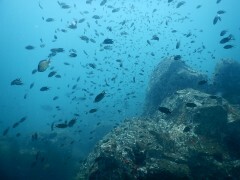 Otherwise famous for south Indian cuisine, Udupi is an up and coming destination for scuba divers as well. 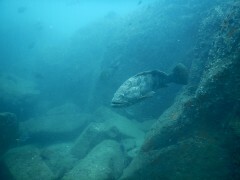 However, you'll take a boat ride from the beach to travel to the dive spot for your open water dives. You'll spend a total of up to 3 hours exploring the turquoise waters of the Arabian Sea. Rich in marine diversity, your dive spot is densely populated by schools of brightly, coloured reef fish, with hundreds of them swimming in and out of corals and boulders on the sea floor.